With a few extra creature comforts, Sipadan Inn 2 offers a better deal than a private room in most hostels around town, and if you cough up a bit more cash, you’ll get a decent sea view to boot. Ad Book now! Rates from US$58.21++. Average rating 7.6 from 1,680 reviews. This is the second in the Sipadan Inn empire, which includes the more upmarket Sipadan Hotel and (obviously) Sipadan Inn 1. The cheaper rooms here are the same price as its younger brother’s, but newer and marginally smarter. The smallish tiled air-con rooms are fairly nondescript, but modern black and white decor lifts them a notch up from bland. Beds are comfy, and white linen is clean, with a bed runner. Amenities include a small flatscreen TV, a safe, tea-making facilities and even a hairdryer. Rooms are clean enough if you don’t look too closely. Ensuite bathrooms are tiny and offer screened hot-water showers. For more space and a better outlook, go for a sea-view room and you’ll gain a bonus small furnished balcony to enjoy it, although they may have a little more noise from the restaurants below. WiFi is included, but you’ll have to fend for yourself for breakfast. 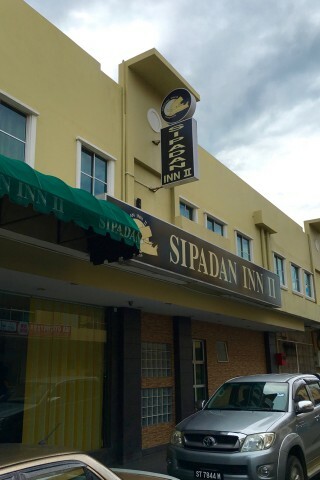 Sipadan Inn 2 is a decent flashpacker choice, but if your budget creeps into midrange, rooms at Ocean Inn in the same block are of a better standard for just a few more ringgit.